Club Penguin Cheats by Mimo777 Club Penguin Cheats by Mimo777: Club Penguin Best Party Reviewed By You! "The best party I have ever had was a camping site right in my igloo! You could steer a ship in the ocean,be on a deserted island,But did I mention the ocean was full of sharks?You could even get lost in the woods.There was lots more,but me and my buddies all had tons of fun! Waddle on Club Penguin!" 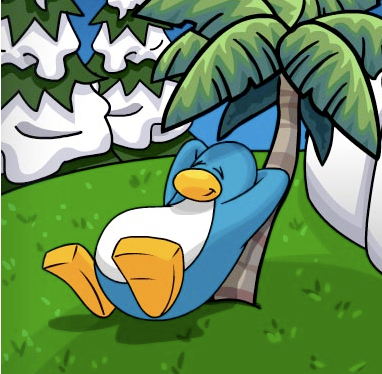 With the April Fools Party beginning tomorrow, Club Penguin wants to know about a time when you and your buddies went exploring. What did you find? Have any of you found anything while exploring? Be sure and let me know! o liked the organised camping party! Uhhh this dosent really have to do anything with adventures but remember when we did that vote for the green drill thingy? Well we never got it. Thats kinda weird dont u think? OH YEAH! I forgot about that. hmm weird. you know that thing were we voted a drill which will make trees grow and whatever well last year we got the box dimention for april fools maybe this year itll be the drill!!!! Your review is so good sparklydo!!!!!!! mimo can u have another quicky party on clubpenguin or wigglington and wenks? Tootsville is having a FREE VIT event, thanks to the mayors birthday! Hey yo mimo Im back! now I can mod some more. I doubt it they will have something for good friday :P Anyway it probably will be for earthday which is why they got the new music called "recycle". ~~~~~~~~~~~~~~~~~~~~~~~~~~~~~~~~~~~partys are cool speaking of partys i hope you can make it to my cp one! Uhh this dosent really have to do with adventures but i rerember when we did that bote for that green drill thingy?Well we never got it.Thats kinda weird dont u think? ~~~~~~~~~~~~~~~~~~~~~~~~~~~~~~~~~~~i wasnet on cp back then but ive seen videos on youtube looks fun! hey mimo i also rote the same:(he copied mine noooooo!!! Mimo!! There are 2 of the let's hang out postcard on club penguin on 2 different pages! post about this! give credit to mango20! he noticed this! Yea i definitely think that's weird! But it might be coming out later. Dunno. Maybe you do... but I sure don't! I live on planet Oogaklaknalawinko! Mimo didn't copy you, that post was on the club penguin website. Mimo ALWAYS post about this! I wait until 9:00pm but since they come out early now i love to see it when i come home. GREEN BABY! Love the green guy. Yeah, Mimo blogged about that!! I am sure he will! Just check his little Twitter bar on the sidebar to see what's up in the world of Mimo!! Yeah, but please don't but (CPG MOD) when you are not modding! Thanks! Cool! I may or may not be able to make it, I have to see what time that is for me! I will try though! Yeah, good musical point.. you never know.. I am pretty sure my great uncle twice removed on Mars doesn't celebrate Earth Day! Yeah... That is weird! I don't even know which one won (lol)! I think it was the green drill that makes trees. Anyway, I bet it will be in the catalog that comes out april 1st, which is TOMORROW! And because of everything coming early, I think we will be getting the party and catalog today! rockhopper had a island? really really really?????? where is it? how can we get there???? Sounds like fun. Tell us all about it afterwards! Yes Rockhopper has a island but you cant go there normaly and like anonymouse said they should have a party on rockhoppers islnad they should it would be awsome i wonder what Rockhoppers island looks like. Slidoo, he doesn't mean that MIMO copied him, he meant the guy who won the reviewed by you copied him. p.s. i did something cool with my name! at 1:36 pm the coffe shop on Alaska dissapeared leaving only window sills! i have a pic of that if you want it -- its so weird! Right now the servers have a glitch and the coffee house and gift shop walls are gone! i found somthing tht u havnt put on ur page go on cp and go to the beach then click the sky with will lead you to many selections of how to view it like 3 or 4..